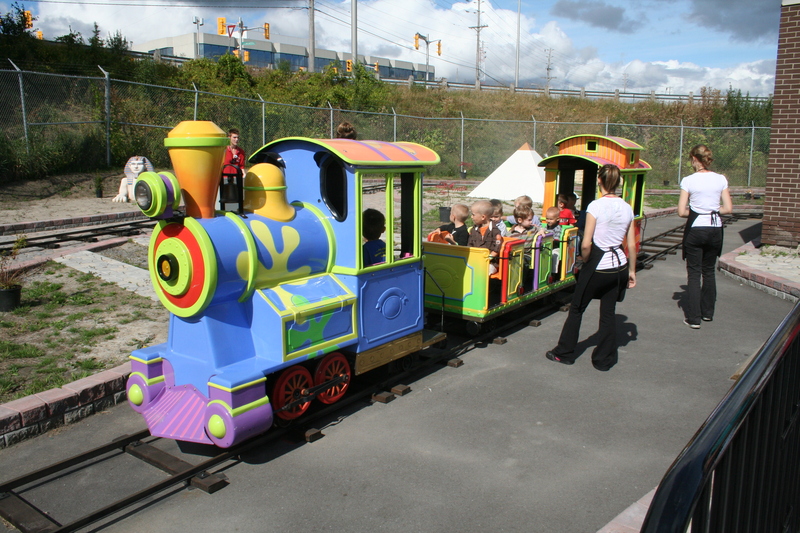 by Eric For Kiernan's third birthday we went to the Midway Family Fun Park located near the Museum of Technology off St. Laurent Blvd. 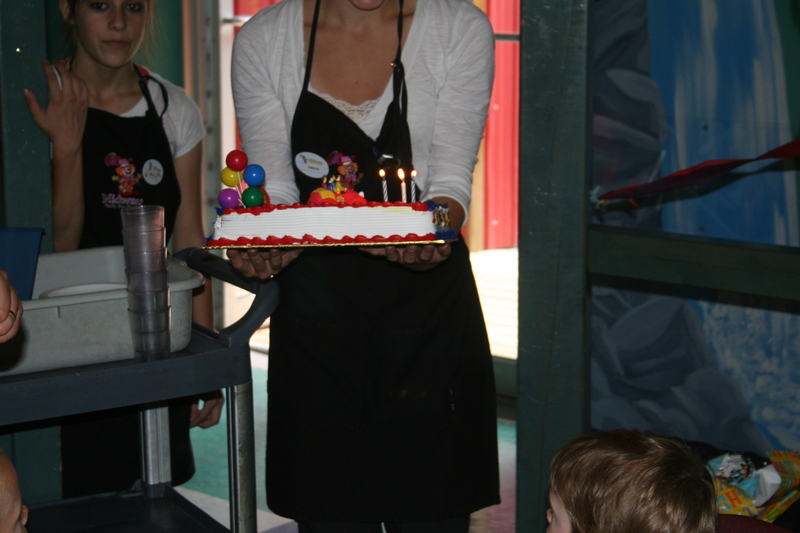 They have an assortment of birthday packages that will have your children and guests talking about it for a long time, perhaps forever associating birthday parties of others with Midway, and asking to go to "my birthday again, with the castle." But maybe that's just Kiernan. 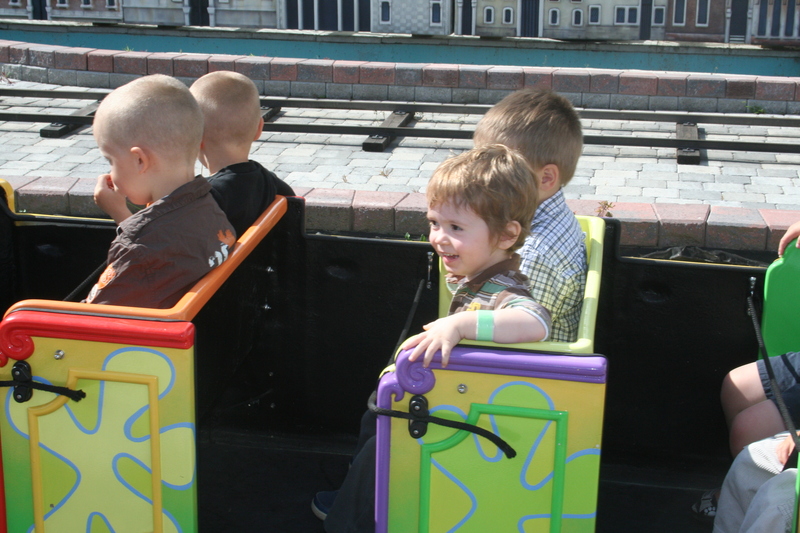 We chose the Double Fun package, which got us unlimited play on 2 attractions - the indoor maze of elevated tunnels were one attraction, and the outdoor activities all counted as another attraction. Outside the kids rode the Kiddie Train, slid down the giant inflateable slide, and drove bumper boats around in circles. 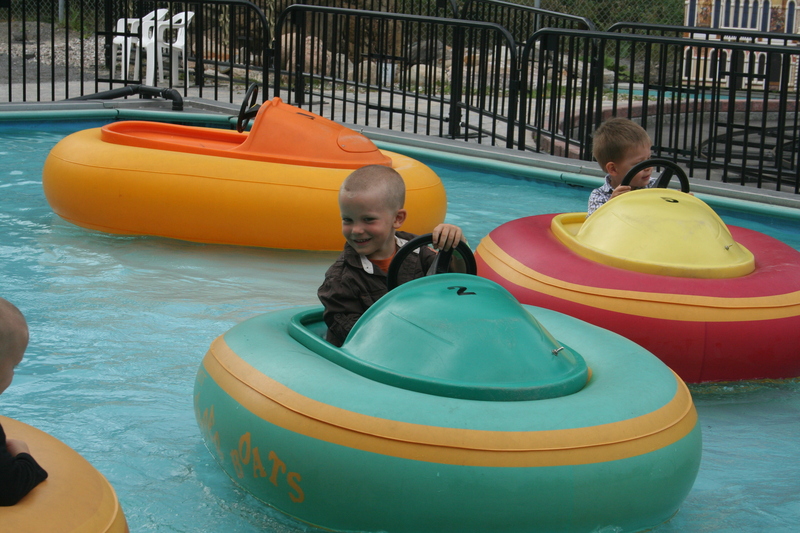 Other attractions to choose from include go carts and mini ATV racing, bumper cars, rock climbing and mini-putt. 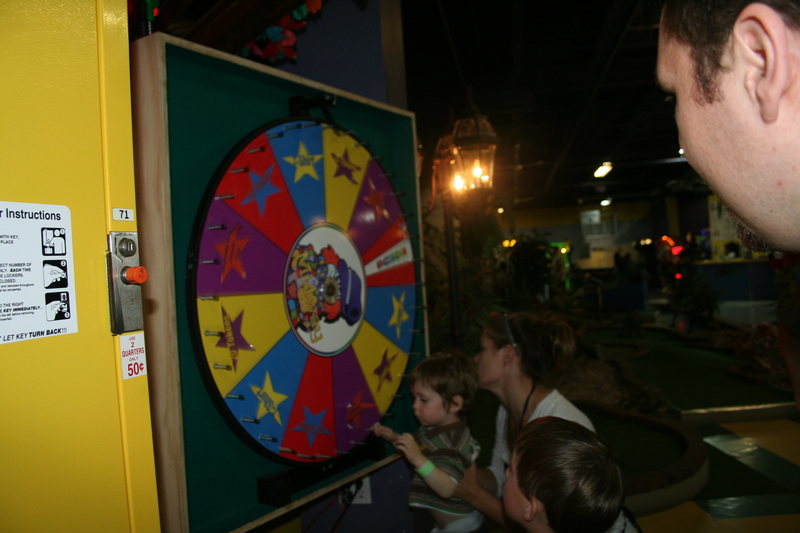 Each party-goer gets 10 tokens to use on the giant assortment of arcade games, and the birthday boy or girl gets to spin the giant wheel with a chance to win a prize (Kiernan won more tokens). Our smaller party room was a tiki-themed gazebo, but larger party rooms are available. Lunch was provided to each of the kids as a choice of pizza, chicken nuggets, pogos or hot dogs, with pitchers of juice to drink. We paid extra for coffee for the parents - they were able to buy their own food as well. Peanut-free cake was an available option, though we brought our own - and the staff assembled and served it once the meal was cleared. Staff members were very helpful, guiding the kids through the tunnels and sliding down slides with them. If kids didn't want to stick with a counsellor, they were free to go through by themselves, with two doors locked from the outside to keep them from wandering into the arcade area by themselves. As well, when you enter, everyone will get their hands stamped with invisible ink, and you can't leave with your child unless your stamps show up under the UV light. Or, you know, if you show up later with the birthday cake and the staff thinks you're a delivery person and not actually part of the party and don't mention any sort of stamp, then when you stay an extra hour with the birthday boy then try to leave, you just need to be grateful your child is not playing shy and and tells the teenage girl at the counter that you're his dad and remembers the full name (including middle name) which is on your driver's license and they eventually let you go. Hypothetically speaking. Midway is fun, affordable, and cleanup is included! The only downside of the experience according to Lara, was that the party coordinator was not responsive to emails, so you may want to give them a call instead. 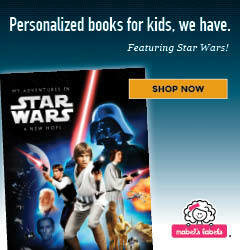 Eric is dad to 3.5 year old Kiernan and 1 year old twins Quinn and Juliette. He also blogs at (slightly) less cynical.